A Canadian civil rights organization is demanding an investigation into CBSA procedures after a Nigerian being deported on a flight from Calgary died following an altercation with border officers while on the plane. 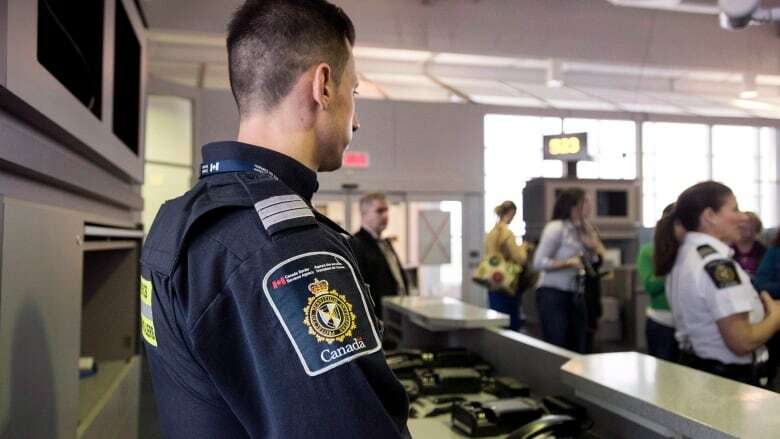 A Canadian civil rights organization is demanding an investigation into Canadian Border Services Agency (CBSA) procedures after a Nigerian man being deported on a flight from Calgary to Amsterdam died following an altercation with border officers. The incident happened Tuesday at the Calgary International Airport prior to the jet's departure. Police were called when the KLM plane returned to the gate after the 49-year-old man, whose identity has not been released, went into medical distress. He was rushed to the Foothills hospital, where he was pronounced dead. "It's very difficult at this point to know exactly what happened," said Josh Paterson, lawyer and executive director of the B.C. Civil Liberties Association. "We understand from news reporting that there was an altercation of some kind and that as a result, someone who was in CBSA's custody wound up dead. So when that happens we have a lot of questions," he said. The Calgary Police Service is investigating the incident, but Paterson said its job is to determine if a criminal offence occurred that could lead to charges, and not whether or not there was CBSA officer misconduct. "Every other law enforcement agency in this country, whether it's RCMP, whether it's Calgary police … they all have an independent oversight body to investigate these kinds of incidents — whether or not officers conducted themselves properly. CBSA is the only one left out of that and that needs to be changed." The civil liberties association and the Canadian Association of Refugee Lawyers are calling on the federal government to bring in an independent oversight body to monitor the CBSA. Patterson said the Trudeau government promised that would happen after the deaths of two people in CBSA custody, but that was two years ago and they have yet to see any action from the government. Documents from the Immigration and Refugee Board of Canada (immigration division) show the man was a Nigerian citizen who first arrived in Canada in 2005 had been engaged in a lengthy battle to stay in the country. He first made a refugee claim at Fort Erie, Ont. It was refused by the board in 2008. He filed two humanitarian and compassionate applications between 2009 and 2013, but both applications were denied. In 2014, he applied for leave and judicial review of that decision, but that was denied as well. A detention hearing transcript on July 26 said he was detained on the grounds that he likely wouldn't appear voluntarily for his flight, due to comments he made saying he wouldn't allow himself to be removed from Canada. CBSA warned removal could be violent. Calgary police said Thursday their investigation could take up to six months to complete.